A complete step by step tutorial on Validation in ASP.NET MVC. Hello friends, I hope you all are doing great. 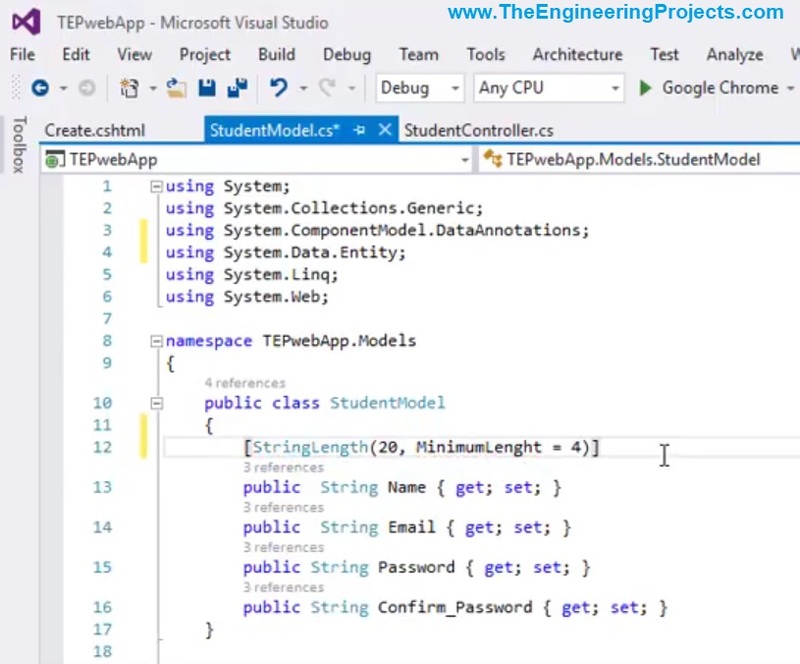 In today’s tutorial, we will discuss Validation in ASP.NET MVC. It’s our 14th tutorial in ASP.NET MVC series. 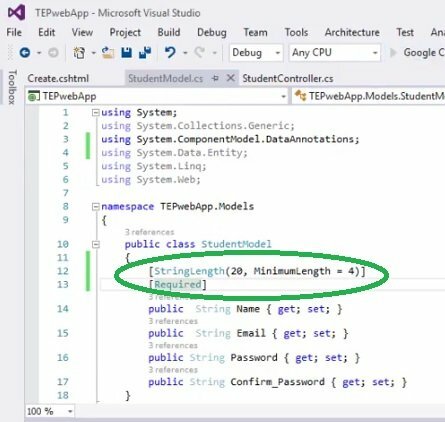 In our previous tutorial, we have seen Model Binding in ASP.NET MVC and you have seen we have created a View for our Model class. Validation uses built-in attribute of ASP.NET called DataAnnotations and is used to validate inputs provided by the user. Validation is a very powerful attribute of ASP.NET MVC and it can be applied to entire model class or any property of model class. It places a restriction on the inputted data by the user, and if the data doesn’t follow the specified rules then it will generate an Error Message and won’t allow the user to submit form. It’s really helpful from development point of view, as the developer always gets the data in single specified format, thus can easily handle it. 5 MaxLength Sets the Maximum Limit. 6 CreditCard For Credit Card details. 7 CustomValidation Custom validations defined by developer. 9 MinLength Sets the Minimum Limit. 10 EmailAddress Email Address must be provided. 11 Phone Phone Number Format must followed. I hope you have now got the basic idea of what is validation. Now let’s implement one of these validations in ASP.NET MVC. So, open your StudentModel.cs file, it’s our model class which we have created in tutorial: How to Create a New Model in ASP.NET MVC. You can see in the above figure that I have added an attribute before Name variable. It’s a StringLength Validation and the first parameter which I have set to 20 is the maximum length of string allowed. While minimum length is specified as 4, so this Validation is restricting the Name model to only accept value of length between 4 and 20. In Case 1, the input string length is less than 4, while in Case 2, length is greater than 20. That’s why it has given error in both cases. Below this StringLength, I have placed another Validation in ASP.NET MVC which is [Required]. So, now it will also make sure that Name field is not empty. So, that was all about Validation in ASP.NET MVC. I hope you have enjoyed today’s tutorial and I would suggest you to try all those Validation as a homework and share your codes with us in the comments. Thanks for reading, Take care !! !